With each new model, the brilliant designers at Ford make the F-150 better and better. Similarly, with each year, game designers meet from all over the world at the E3 convention, to show off the latest in gaming. When these two worlds combine, what do you get? A Halo-inspired Ford F-150. The Ford F-150 Halo Sandcat looks like it came straight out of the Microsoft game franchise, down to the finest detail – including a United Nations Space Command decal. The double cab would provide plenty of room for your attack team, while the green color reflects the game’s landscape. Add the special edition pickup truck’s matte finish, and you have one vehicle that is ready to take on anything the Halo franchise has to offer. You can check out some pictures of this clever geekery here. Sadly, the vehicle is not for sale, and there are currently on plans to go full production on this bad boy, though the Halo fanbase definitely wishes otherwise. In order to get the most out of Take Your Child to Work Day, Ford decided to break some records. 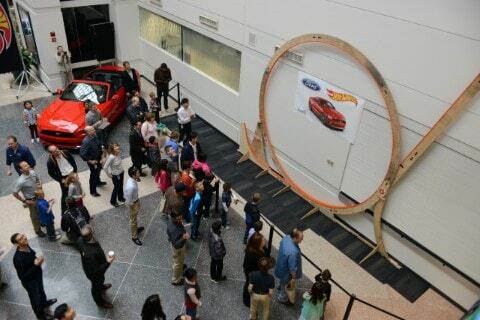 Starting as the brainchild of technician Matt West, Ford recently broke the record for having the biggest Hot Wheels® loop in the world. How big was it? The Ford Hot Wheels Record consisted of a 12-foot loop that was six-inches wide, according to Ford. In order to build the gigantic loop, engineers had to set it up in the three-story atrium located at the Research and Innovation Center in Dearborn, Michigan. Believe it or not, this record beat its predecessor by over three feet. The trick to building this record-breaking loop was all in momentum: height doesn’t matter if the toy car can’t make it around. Although Ford didn’t measure the entire track, we at L&L Motors are told it was absolutely massive, consisting of a large wooden structure to help the Hot Wheels model make it through the massive loop. Ford is stepping to the forefront of alternative clean energy by providing for its new 2016 Ford F-150 trucks to be converted to propane and compressed natural gas (CNG). Though oil prices are down, the interest in these cheaper fuels is on the rise—according to Jon Coleman, Ford fleet sustainability and technology manager. That also means that Ford will be offering the only half-ton on the road to be powered by CNG or propane fuels. Buyers will need to check the box to include the $315 factory-installed engine package then have a new fuel tank and fuel lines installed for a cost of between $7,000 and $9,500 depending on tank capacity. New advances like the 2016 Ford F-150 alternative gas option make Ford the most exciting brand on the road. Stop by L&L Motors to see our full line of high-tech Ford cars and trucks. How to Have a Great Road Trip! Just one stressful road trip can leave a poor taste in your mouth. But you can only sulk so long before it’s time to put those scary leather driving gloves on and hop back in the driver’s seat. 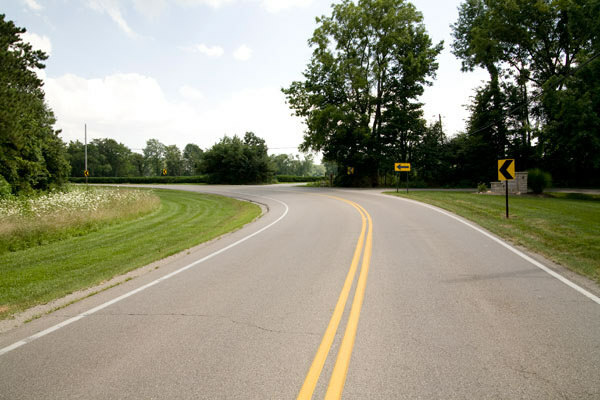 Here are some tips on how to have a great road trip! Unless you desperately need them, try turning your phones off and leaving them in the glove box. This might mean bringing a paper map but that only adds to the fun! Break up the drive by playing fun road trip games! One of our favorites at L&L Motors is “Name That Tune.” Hum or whistle a melody and the other parties have to guess what it is. This can get especially interesting if any of the participants are tone deaf. Eat local. Sometimes when you are on the road, the tendency is to try and make good time by cutting down on stops. Sitting down for a meal can eat up your time but remember—it’s not a race! Not to mention, you have the added benefit of interacting with locals. They can frightening or friendly but either way, it’s always interesting. Most importantly, as the Huffington Post recommended, you should definitely “make a plan”…just not a “rigid one!” This is akin to holding a fragile bird in your hand. 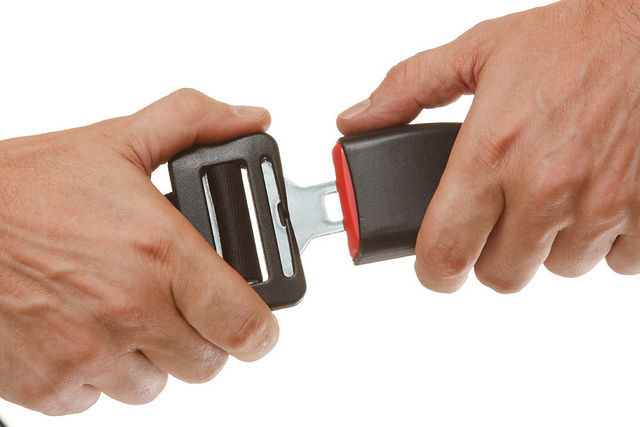 Tight enough to hold it but not too tight that you strangle the life out of it. Most of us are aware that the pickup truck is America’s most-loved vehicle, but we’re not sure that most people know just how much America loves pickups. Everycarlisted.com took it upon themselves to crunch the numbers and throw the results into some helpful visuals that make them easy to understand. Everycarlisted.com did an analysis of what people are spending across the US on vehicles. 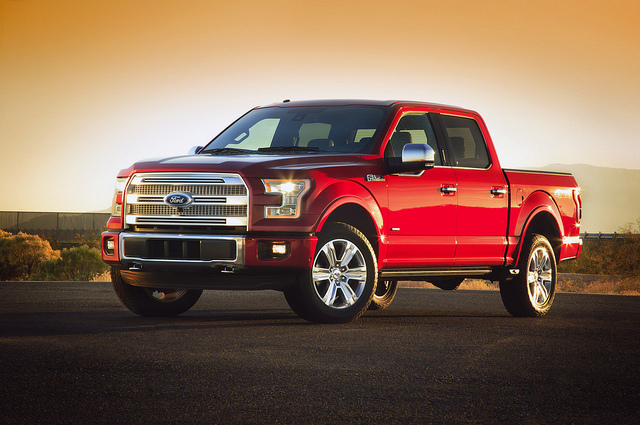 The results show that trucks are more popular than cars, and that the Ford F-150 is the most popular vehicle. There are 8,747,172 trucks on the road in America right now, and 7,688,144 cars. The F-150 is currently the most popular vehicle in 39 of the 50 states (Yep, that includes Utah). But, which states don’t love trucks?! Oddly, Florida prefers windowless vans to trucks, and their most popular vehicle is the Nissan Altima. We think that’s cause for them to lose their ‘Southern’ card. Are they even a real southern state? Other than Florida being the odd duck of the south, California, Nevada, Arizona, Montana, New York, Maine, New Hampshire, Massachusetts, Hawaii, Connecticut, Rhode Island, New Jersey, and Delaware all claim a different vehicle as their state’s most popular choice. Stop by L&L Motors to find out for yourself why America just can’t get enough of the F-150! After making its American debut at the New York International Auto Show, the all new 2016 Ford Focus RS is generating a lot of buzz! It isn’t certain yet whether the Focus RS will be coming to the American market, but that doesn’t make its reveal any less exciting! The Focus RS is said to be equipped with a modified 2.3-liter EcoBoost four cylinder that is used in the current 2015 Mustang. The engine generates more than 315 horsepower, providing the perfect amount of power and performance. In addition, the Focus RS features new suspension units, upgraded brakes, and a new all-wheel-drive system that includes torque vectoring. 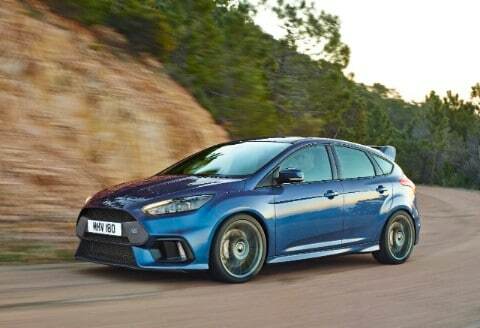 In addition to those features, the Focus RS showed off two brilliant new colors–Nitrous Blue and Stealth Gray. The new hatchback will be produced in Germany and production is supposed to start later this year. We’re hoping a version of the all-new 2016 Focus RS will make its way stateside at some point. Stay up to date with the L&L Motors blog and we will keep you posted on all the latest happening with the new Focus RS! 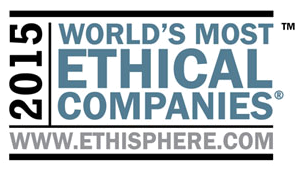 Recognizing Ford’s commitment to ethical business decisions, the Ethisphere Institute recently named the automaker to the 2015 list of the World’s Most Ethical Companies. In fact, Ford was the only auto manufacturer to be named to the list, which says a lot about how it does business. According to Ford, the Ethisphere judges companies based on a framework to determine a company’s performance in an objective, consistent and standardized manner. This includes ethics/compliance, corporate citizenship/responsibility, culture of ethics, governance/leadership, innovation, and reputation. The 2015 World’s Most Ethical Companies list is important because it recognizes companies that you would want to do business with. Ford is always striving to bring customers the best, most affordable products possible. 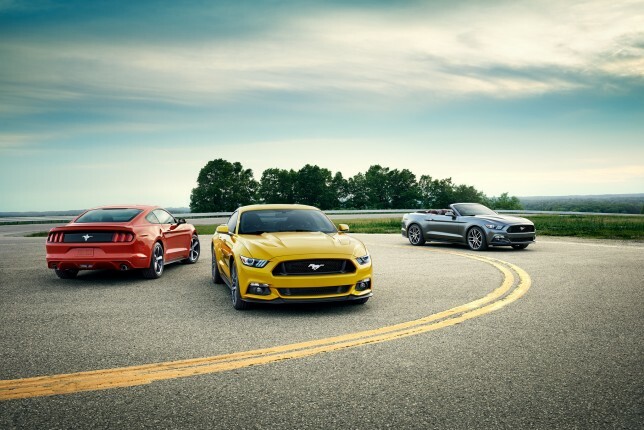 If you’re looking for quality and craftsmanship, think Ford—and think L&L Motors Ford!